The nominees for the 2012 Grammy Awards were officially revealed during a live television broadcast on Wednesday night, and Bon Iver was among the most called! 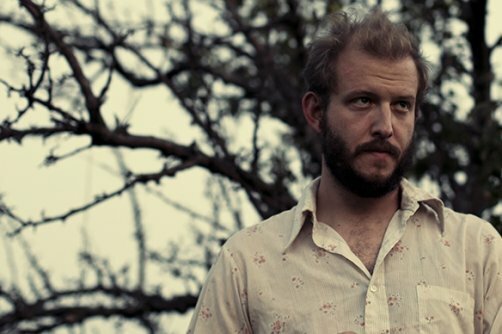 Justin Vernon and Co. received a nomination for Best New Artist, while their song “Holocene” is up for both Song of the Year and Record of the Year. Bon Iver, the album, also was nominated for Alternative Album of the Year. Now, before we go any further, let’s first remember this is Grammys and the rules make little sense: 1.) The cut off date for an eligible song/record/album was September 30th, 2011, so Drake’s Take Care won’t receive consideration until next year. However, Kanye West’s My Beautiful Dark Twisted Fantasy, which was released in November 2010, was eligible. 2.) To be eligible for Best New Artist, an artist must have released, as a featured performing artist, at least one album but not more than three (which explains why Bon Iver is nominated on album number two.) 3.) The difference between Record and Song of the Year: Record of the Year is given to the artist who performs the song and the people who produce the track, while Song of the Year is awarded to the songwriter who wrote said song. Also, let’s not forget about the 31 categories no longer in existence. Along with Bon Iver, Adele picked up a slew of nominations, including Album of the Year, Record of the Year, and Song of the Year. Kanye West’s opus My Beautiful Dark Twisted Fantasy did not receive a nomination for Album of the Year, however, the rapper’s “All of the Lights” is in the running for Song of the Year. In addition, both My Beautiful Dark Twisted Fantasy and West’s joint LP with Jay-Z, Watch the Throne, were nominated for Best Rap Album. Foo Fighters also received love, with Wasting Light nominated for both Album of the Year and Best Rock Album. Other notable nominees include Radiohead (Best Alternative Album, Best Rock Song), Wilco (Best Rock Album), My Morning Jacket (Best Alternative Album), Robyn (Best Dance/Electronica Album), and The Decemberists (Best Rock Song). You can find the nominees for the major categories below. The entire list is available at Grammy.com. Winners will be revealed February 12th at 8pm ET on CBS.